For years and years I’ve been a powder blusher girl through and through but I’ve recently started getting back into cream blush…. woweee times they are a changing! Easier to blend than powder, cream blush is also ideal for the cold, dry conditions that Winter/Spring brings by keeping your cheeks looking soft and glowing. Oh, and it also makes my cheeks feel like velvet. And I liiiiike velvet. 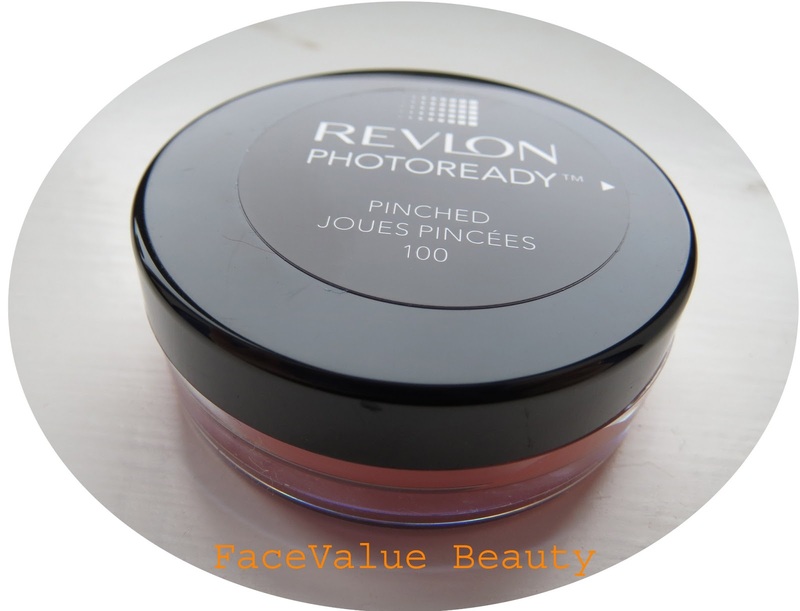 Today I’m trying out Revlon PhotoReady Cream Blush – a little pot of peachy air-whipped goodness. If my French (aka Google Translate) serves me correctly – this colour “Joues Pincees” translates directly to “Pinched Cheeks”. And it gives that exact effect! 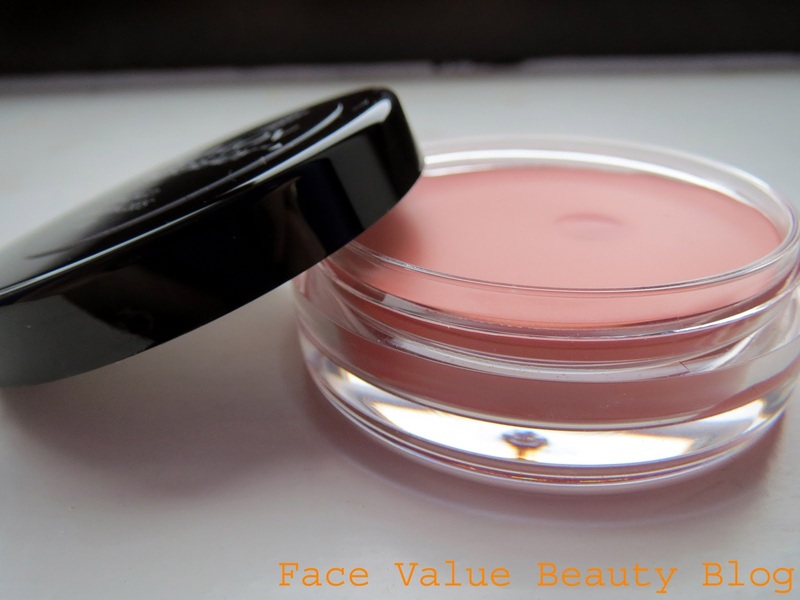 Very nice and subtle – it is perfect for the “im not wearing any make up” look. 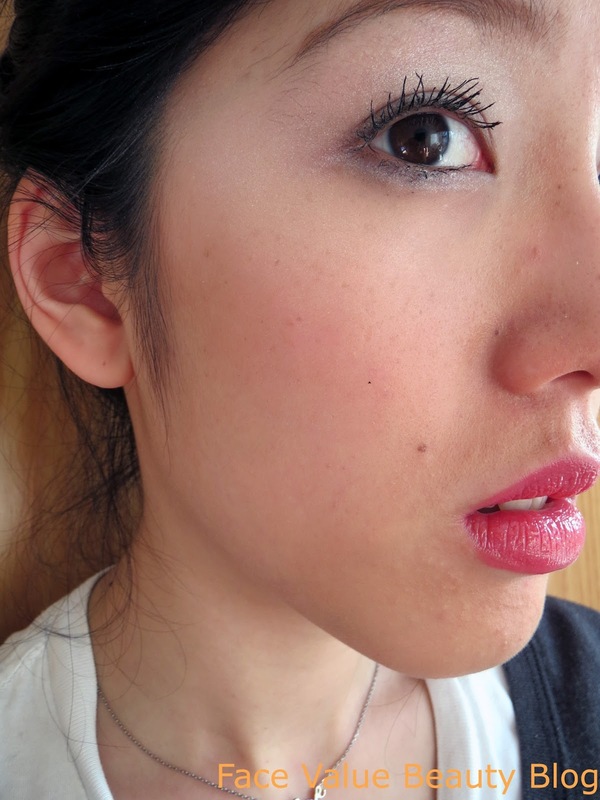 I wear this on a (nearly) bare face with some curled lashes for that natural wide-awake look. But slap-fans dont rule this out completely – it can be built on in layers to give a not-so-subtle flush of peach on the cheeks too! 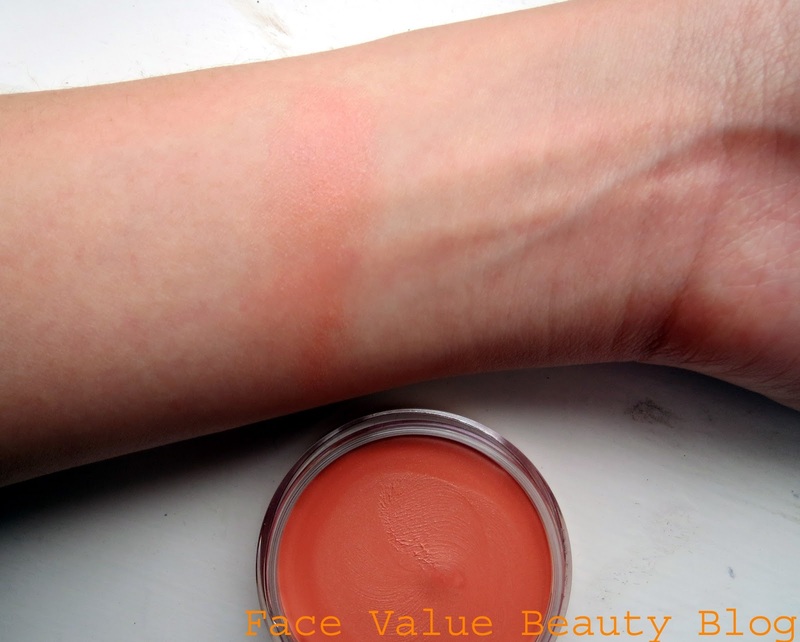 I’m still not 100% comfortable with cream blushes though – I still worry that they block my pores – if you’re non-comedegenic, put it on the label please! FaceValueTip: A stippling brush is IDEAL for cream blushes – the different layers in the brush fibres help to seamlessly blend and buff colour into the skin. I use the Studio Stipple brush from E.L.F. I now use this almost daily – it really does give that natural glow without the need for highlighter..
Do you prefer Powder or Cream? Or let’s widen the net- how about liquid cheek stains?! What’s your texture of choice? Next Post No strings attached – just a pure, unadulterated GIVEAWAY. this looks gorgeous!from helen at thelovecatsinc // youtubeps. enter my new giveaway to win the UD naked basics palette, real techniques brushes and essie polishes! click here.